If you want to live a long life, there are several things you can do. One is be born into a family with good genes. Another is to eat a low-calorie diet. Now it looks like there's another way to extend your life: Take an herbal extract used to reduce anxiety and stress. A study out of UC Irvine found that taking Rhodiola increased the lifespan of fruit flies by a whopping 24%. And past studies have shown that what works on fruit flies works on people as well. Rhodiola rosea, or golden root, is an extract of a yellow-flowered mountain plant that grows in cold climates at high altitudes. Scandinavians and Russians have used it for years to combat stress. But according to UC Irvine study leaders Mahtab Jafari and Sam Schriner, it may do a whole lot more than that. Scientists already know that one of the best ways to improve lifespan in laboratory animals is to restrict their diets. But they've been trying to find ways to recreate these effects without calorie restriction. It turns out, Rhodiola improves lifespan. But it doesn't have anything to do with diet. It affects completely different molecular pathways. What they found, explains Jafari, is the "Rhodiola actually increases lifespan on top of that of dietary restriction." Their research, he said, "demonstrates that Rhodiola can act even in individuals who are already long-lived and healthy." They showed this by first restricting the calories of fruit flies, as prior studies have shown that fruit flies live longer when they consume less yeast. Jafari and Schriner believed that if Rhodiola worked in the same way as calorie restriction, it wouldn't make any difference for these flies, since the molecular pathways affected by diet would already be working. But the Rhodiola did have an impact! To further test their hypothesis, they then gave Rhodiola to flies in which the molecular pathways of dietary restriction had been genetically inactivated. Sure enough, it still worked. And it worked very well, improving the lifespan of both male and female flies in multiple strains by an average of 24%! It even helped old flies live longer. Not only that, it delayed the loss of physical performance as the flies aged. Based on some of their previous research, Jafari and his colleagues think this is because Rhodiola decreases the natural production of reactive oxygen species molecules in the flies' mitochondria. By reducing this production, Rhodiola lowers the amount of oxidative stress the flies endure. It had a similar effect on cultured human cells as well. While Jafari and Schriner don't know that Rhodiola supplements will help humans live longer, their effects are definitely a step in the right direction for scientists studying longevity. 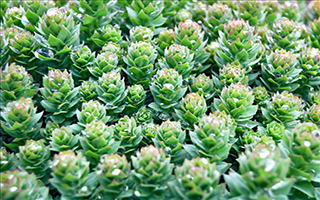 Plus, in humans, Rhodiola has a variety of positive effects, such as alleviating fatigue, anxiety, and depression; improving mood, memory, and stamina; and preventing altitude sickness. Now Jafari's group is investigating whether it may also have positive effects on cancer, Alzheimer's disease, or stem cell growth. 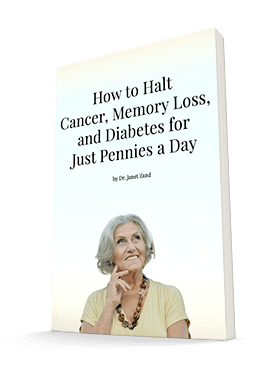 We're just beginning to uncover the many benefits of this simple extract. You can find Rhodiola capsules and tincture in any health food store and on the internet. Be sure to buy some that is high in rosavins and salidroside. You need sufficient amounts of these phytochemicals to get the desired effect.